“ELIZABETH! ELIZABETH” I could hear my name being shouted repeatedly. I was in the kitchen cutting up pineapples when I could hear this cry from the other part of the building. Putting down the knife, I quickly washed my hands under the tap in icy water. Then I dashed over to see what the commotion was about. And this is what greeted my eyes! Meet Turu. 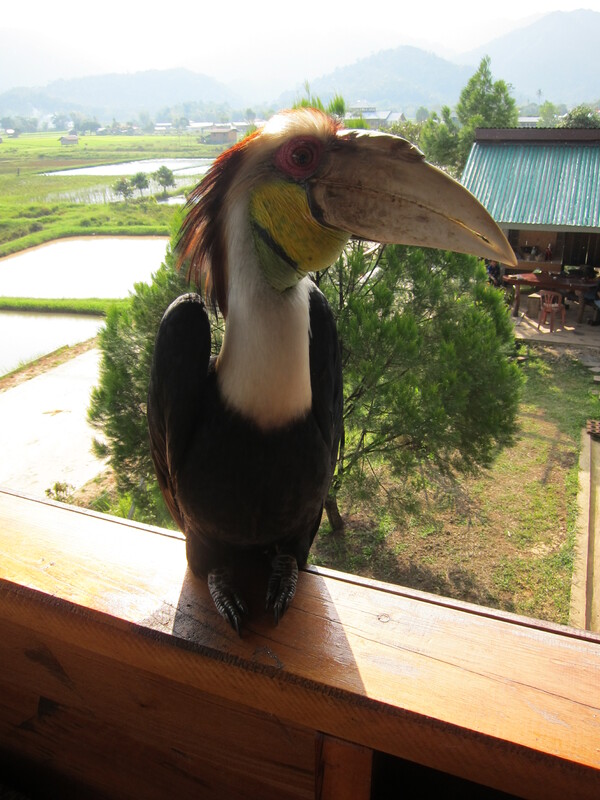 He is a juvenile hornbill. And ever so tame! I could feed him, as did others, by hand. In fact, I tried to tease him by doing a little tug of war over a piece of fruit with him. He isn’t owned by anyone, but the whole village feels it owns him. He comes and goes as he pleases, eats from wherever he likes, and from whoever he chooses. 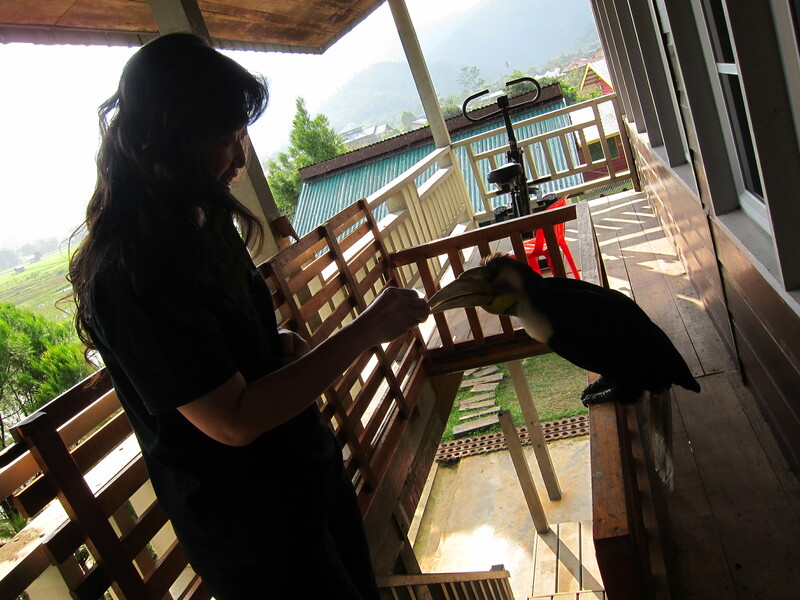 That day, he stayed with us for hours. Then the house owner insisted that he moved on. He had ingested so much, she was worried that he might empty at the same spot! This entry was posted on 08/10/2011 at 19:40 and is filed under Travel. You can follow any responses to this entry through the RSS 2.0 feed. You can leave a response, or trackback from your own site.